The dictionary defines “serendipity” as an accidental but delightful discovery. 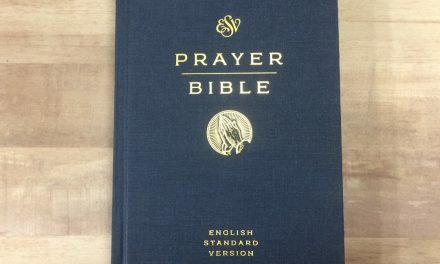 When I heard that Overstock.com was selling a Cambridge Bible for just under six dollars (yes, you read that right) I bought it immediately, sight unseen. I had no idea what it was, or what to expect. Actually, it didn’t matter. I knew nothing about the Revised English Bible. 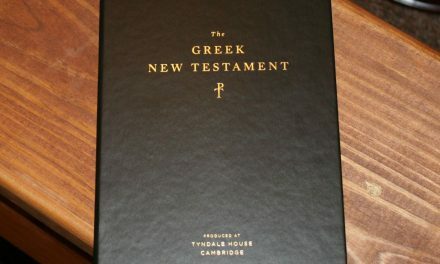 Nor could I find any decent pictures of this particular Bible anywhere online. How it came to be price-reduced to only six dollars, I still do not understand. Nevertheless, when the Cambridge REB in imitation gray leather came to my front door, I knew it was a pretty good investment for just over the price of a gallon and a half of milk. 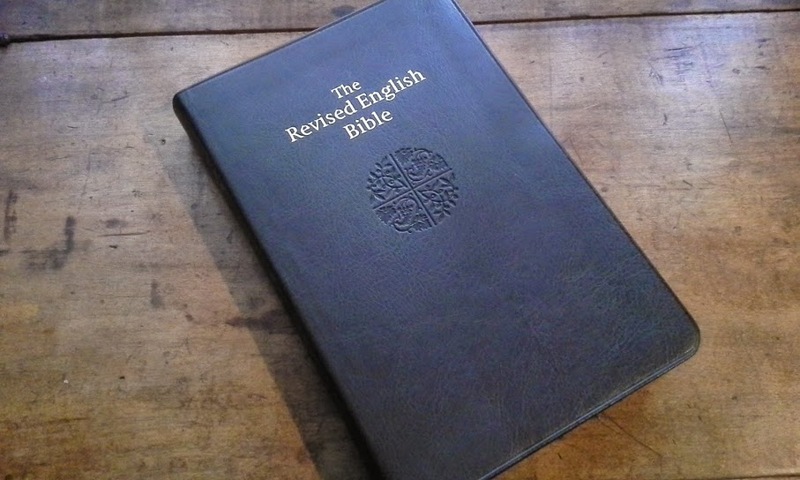 The Revised English Bible is not one that many American churches, pastors, or writers use very often. At least not many that I know of. 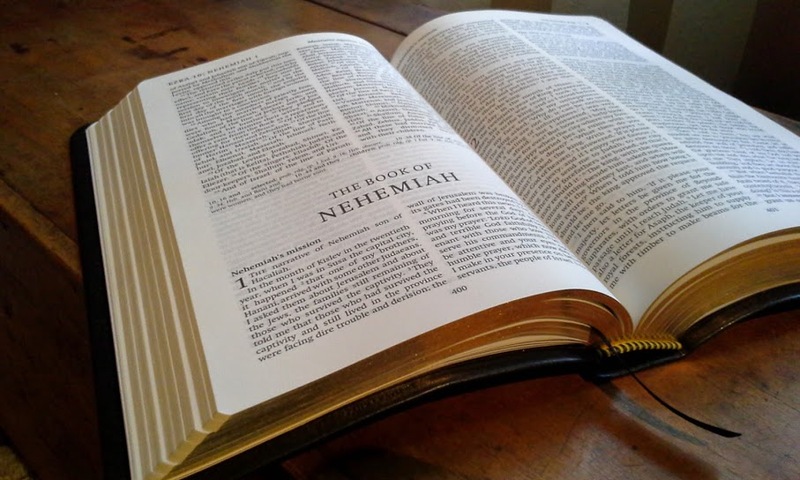 It is a revision of the New English Bible (NEB) used far more often in the United Kingdom than America. What I discovered is that this is a fresh translation – very readable – that takes a moderately “functional equivalent” approach. 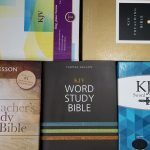 This means it is closer to, say, the NLT or the NIV than it would be a more literal translation with a “formal equivalence” approach like the NASB or ESV. The former translation style attempts to get the thought expression converted into modern phraseology, the latter attempts to get the very words themselves literally converted from one language to the other. As a preacher and teacher, I am always going to favor word-for-word translations over the so-called dynamic equivalents. For this reason, the REB is probably going to be sentenced to a lot of “shelf time” in my library. I simply don’t use Bibles that have a looser style very often. Perhaps you will, though, so read on. 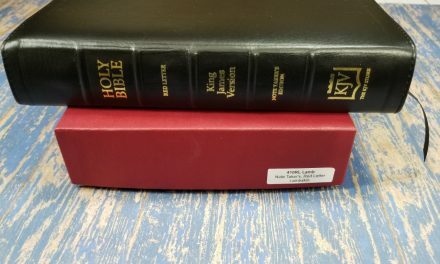 The translation does have this in its favor: it is approved by more than a dozen denominations of various stripes in the UK, and has some significant weight of scholarship behind it. If you read the works of John Stott, for instance, he refers to the REB often in his commentaries. One area where this Bible excels is in the reading of the Psalms and other Hebrew poetry. I think it does a very good job here of conveying the authors’ more non-prosaic expressions of faith and intercession. 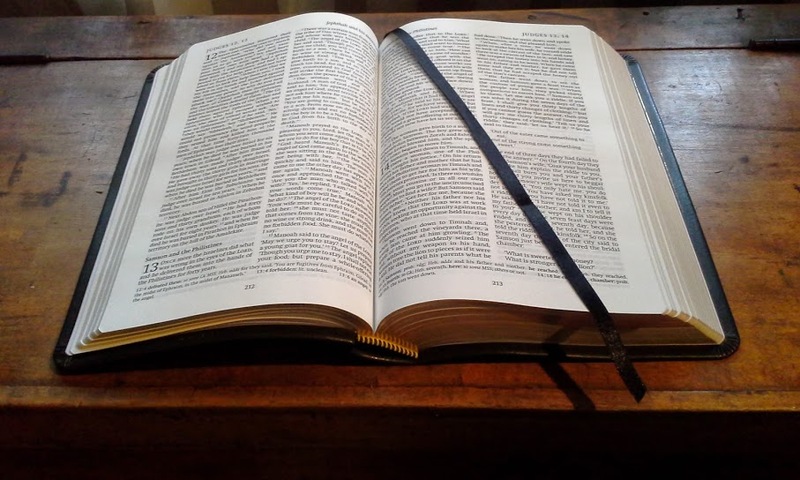 This Bible may serve as a good “alternate voice” for you to help open up passages that have become so well known to our ears that we miss the forest for the trees, as they say. Let’s be clear, I would not have bought this Bible for the list price of around $80. I wouldn’t buy any imitation leather Bible for that price. If I am going to spend anywhere near one hundred dollars, I want leather, and a good leather at that! But this one cost me in the single digits. So I love what I actually paid for! The cover is a dark charcoal gray, pleasantly dark actually, such that you might think it black if you didn’t already know better. 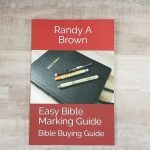 It is boldly gold-stamped with “The Revised English Bible” center-set in the upper quadrant. A gorgeous Cambridge logo is dry stamped in the center of the cover. Personally, I love the dry stamp, but could go without the title on the front. While the binding is sewn (score!) and the size is just perfect for my liking (double score!) this new friend struggles to stay open on its own (no soup for you!). The binding is just a little too tight to have that “melt in your hand” feel that you have come to expect from a Pitt Minion or other Cambridge Bible. The interior lining, a standard black leatherette Cambridge paste-down binding is what you would expect, expertly done. Overall, the aesthetics of touch and feel are pretty dreamy. The slipcase helps make the case for this acquisition as well. Probably my biggest “meh” moment came when looking over the paper. It is labeled as FSC “mixed sources.” Personally, I love to save the trees but am not a strong advocate of recycled paper in Bibles. Bibles deserve the best in my opinion. I don’t think it feels overly thin at all, actually it’s a pretty good opacity in my view, but a very slight textured “recycled” feel is present. Also, the paper is a tell-tale off white with a creamy hue. The line-matching is fairly inconsistent in my book. Some sections are remarkably done. Others look like someone smacked the copier mid-function and upset the bypass feed. 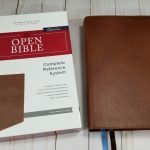 Since this Bible does not have any references or notes, the overall look is crisp and usable. Since I don’t plan to do much study from this text, but will rather be consulting it as a “from-time-to-time” reference work, none of those faults are fatal. My overall impression is one of serendipity. I received a very handsome Bible from one of the best publishers in the world for the cost of a few packs of gum. Review by Rev. Matthew Everhard, Senior Pastor of Faith Evangelical Presbyterian Church in Brooksville, Florida. 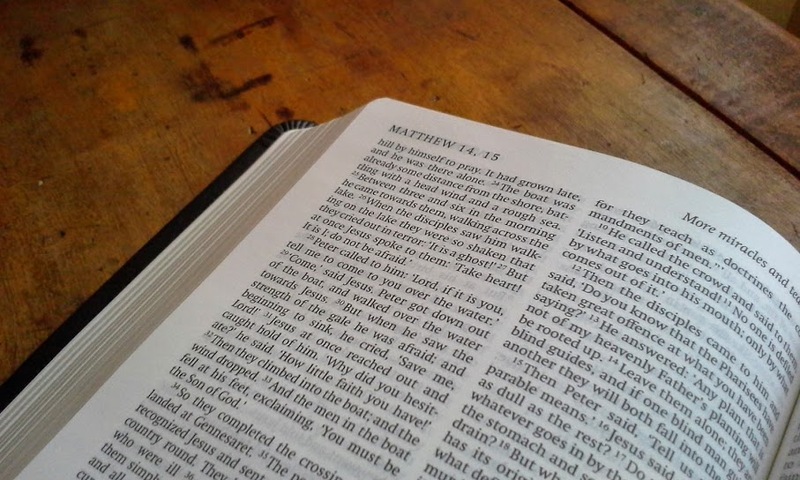 Matthew is the author of several books including his e-book, Unknown: the Extraordinary Influence of Ordinary Christians (Whitefield’s Prayer, 2013). 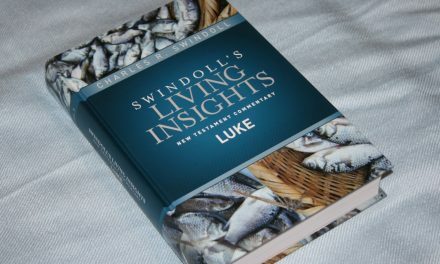 Nice review, nice bible, outstanding price. 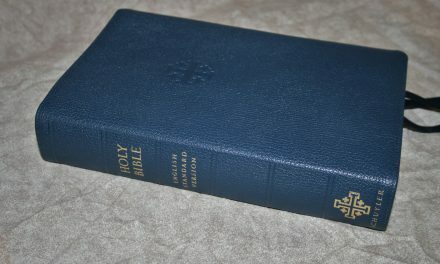 I have a copy of the New English Bible that this may have been derived from. In my estimation it was OK, but I used the NASB at that time instead. I’m back to the Authorised at present, and happy with it (I finally adjusted to the language). Cambridge seems always to do a good job of putting their products together with good materials. 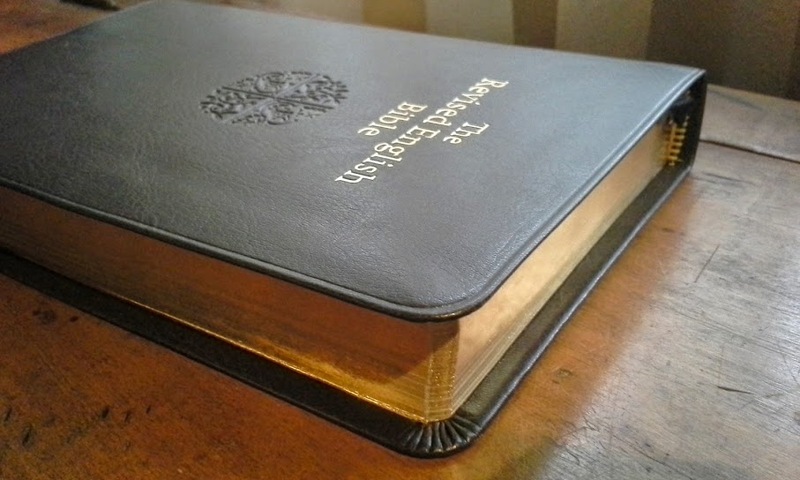 A stiff binding will with use loosen up, but for one handed reading, either standing or sitting, those lovely soft covers work against protecting the textblock. 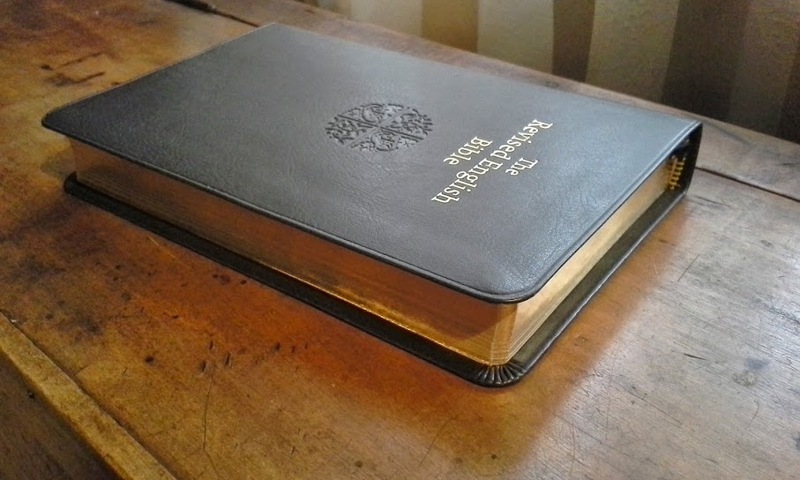 I suppose I should be using a hard bound bible, but I, like almost everyone likes a nice leather cover, as long as it is not too floppy. I just checked and it’s now out of stock — what a shame. I signed up to be notified if it comes back in stock. Thanks for the review, perhaps I’ll be able to snag one!